A Randstad Innovation Fund executive discusses HR tech and artificial intelligence-powered recruiter AllyO announces a $14 million funding round are among technology developments affecting the workforce solutions ecosystem. Other developments: Scout Exchange announced the hire of a former ManpowerGroup RPO exec, LinkedIn introduced referral button, Walmart announced a program with an online staffing firm and Talao is rolling out a blockchain verification product for freelancers. Also on the radar, a marijuana jobs website raised $2.5 million in funding, and a video recruitment platform announced $1.4 million in funding. Integration and blockchain are among topics discussed in the HR tech community, said Ilonka Jankovich, venture partner at the Randstad Innovation Fund, which invests in technology firms in the workforce solutions ecosystem space. Jankovich spoke at the HRTechTank San Francisco this month — an event that brought HR tech companies together with investors and thought leaders to allow the companies to discuss their products. “Integration is a priority for everybody,” she said. And getting HR tech systems integrated with other systems is becoming more important as firms begin to look at the workforce in a more holistic way — including total talent management, which takes into account both the contingent workforce and the traditional workforce. “A lot of companies are popping up that want to do identification, verification on blockchain,” Jankovich said. However, the firms must still have partners such as universities and former employers to supply data on workers in order for the blockchain firms to provide verification of credentials, among other things. But not all partners are ready for blockchain. She also noted several investors at the conference were looking only at HR tech firms that could ultimately generate $1 billion or more in revenue, despite the difficulty in picking such firms. 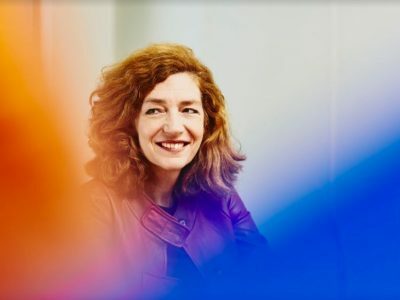 The Randstad Innovation Fund isn’t necessarily looking for companies with the potential to generate such revenue; instead, it’s taking a more strategic approach, she said. “We want to invest in companies that make our processes more efficient and make the candidate experience better,” Jankovich said. It’s also looking to make a return and invest in companies that can provide data. The fund is also interested in new business models and what Randstad can learn from them. Last month, the Randstad Innovation Fund took part in an $8 million Series B financing round for gr8 People, a provider of enterprise recruiting software for corporate and recruitment process outsourcing providers. The round was led by Ascent Venture Partners and Delancy Street Partners also took part. The Randstad Innovation Fund also took part in a $30 million series C funding round at HackerRank, which uses coding contests to find and recruit programmers. The round was led by JMI Equity; also participating were Khosla Ventures, Battery Ventures and Chartline Capital Partners. AllyO, an artificial intelligence-powered recruiter that aims to use natural language processing and machine learning to automate the recruiting workflow, announced a $14 million series A funding round. The series A round was led by Bain Capital Ventures with Cervin Ventures, Gradient Ventures (Google’s AI fund) and the Randstad Innovation fund also taking part. AllyO is based in Sunnyvale, Calif. It was founded by Ankit Somani, formerly of Google, and Sahil Sahni, formerly of McKinsey & Co. Scout Exchange appointed a chief revenue officer and general manager this week, naming Jim McCoy to the post. McCoy formerly served as VP and global practice leader of recruitment process outsourcing for ManpowerGroup (NYSE: MAN). “His strong industry expertise, combined with his demonstrated ability to help clients evaluate and design demanding talent acquisition programs, will be instrumental in helping us better serve our existing customers and reach new ones,” said Scout Exchange CEO Ken Lazarus. Boston-based Scout Exchange, a platform to connect companies and search firms, also recently announced it received a $100 million investment from TRI Ventures, the investment vehicle of John Chuang, founder and chairman of staffing firm Aquent. LinkedIn announced a new button on job listings that enable job seekers to ask for a referral, the company announced in a blog post. In addition, there is a new job search filter on the desktop to enable people search for jobs that are in their network. Walmart announced on Monday a program that enables its customers to purchase services through online staffing firm Handy while checking out at stores. Handy will be able to provide workers for tasks such as installation and assembly services for televisions and furniture. The program will be available in more than 2,000 Walmart stores starting next month. Right now, Handy’s services are available for purchase in 25 Walmart stores in Atlanta. One example of a firm using blockchain for verification is Paris-based Talao.io for freelancers. The platform says it enables freelancers to share their credentials and control the data about themselves via the company’s “reputation vault.” The company uses the “Talao token” to access the marketplace. Marijuana jobs website Vangst announced $2.5 million in funding, calling it a seed round. The round was led by Lerer Hippeau, a New York-based venture capital firm. Casa Verde Capital, a venture capital firm focusing on the ancillary cannabis industry, also took part. Vangst has offices in Denver and Los Angeles. Tempo, a provider of a video recruitment platform, received a £1 million (US$1.4 million) investment from venture capital firm Hambro Perks, Businesscloud reported. The company said it aims to offer savings when compared to staffing firms.